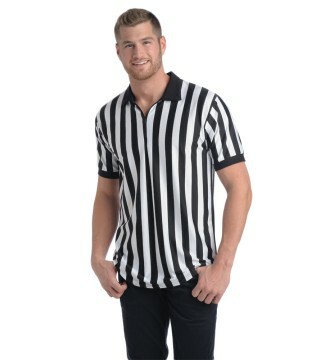 Our fashion referee shirts are the shirts of choice when looking for high quality, multi-functional apparel that looks and feels great when worn. Stay cool and dry all day and enjoy the comfort of this lightweight breathable material. Great shirt for special sporting events, schools, restaurant and bar wear, costume parties, or just fun with friends. Machine wash with like colors, tumble dry on low. 8 oz. Customize with a logo or design by printing, embellishing, heat transfers or embroidery.